Writing a book isn’t a solo endeavor. Gone are the days when authors would hole up in a cabin out in the woods or a beachfront getaway to write their bestsellers in total solitude. If an author wants a bestseller, he or she needs to write what audiences want to read. 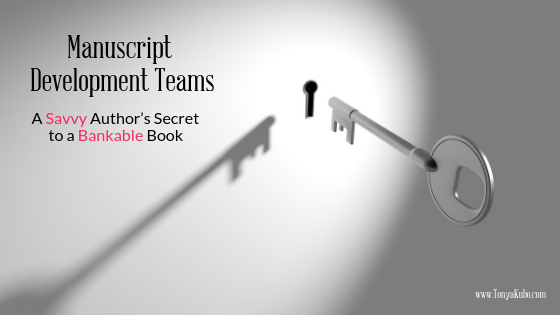 That’s why manuscript development teams are a savvy author’s secret to a bankable book. I’m not saying some solo writing doesn’t occur, but books that sell well tend to be written in community. 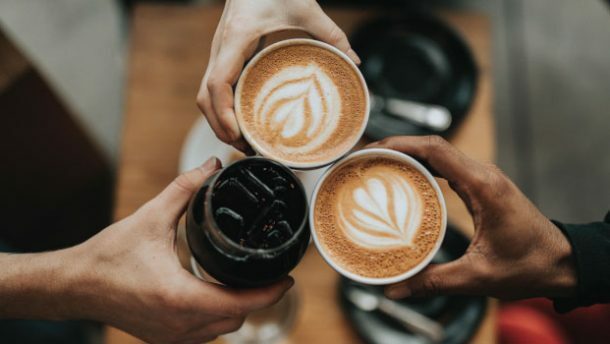 There are different ways to write in community: you can join a writers’ group for workshopping, cobble together a group of friends to brainstorm ideas or host peer-review groups on Zoom. Or you can use a manuscript development team. Partnering with a manuscript development team leader allows an author to get the needed feedback on their work without slogging through endless comments. A team leader collects and curates reader feedback into a workable action plan for improving the manuscript. In my experience, a lot of great books never get written because the writing process stalls. Too many times a book falls short of its potential because the author rushes the process instead of embracing it. “Time is money” is an undeniable fact in the publishing world. Authors can’t afford the consequences of missed deadlines. A rushed manuscript will never be as a good as one that’s been written thoughtfully, and blowing a deadline when you have a hard publication date means you’re robbing from your marketing timeline. Manuscript development teams keep authors on track by maintaining a consistent series of deadlines for each chapter. We’re all better at keeping deadlines to others than we are at keeping deadlines to ourselves. In the case of writing books, healthy manuscript development teams apply the right kind of external pressure by giving the author a reason to stay on track without being overwhelmed to the point of creative paralysis. Manuscript development teams aren’t typically a random selection of participants. Authors partner with the leader of their development team to strategically curate a group of readers within the book’s target market. This content is straight from the author’s keyboard to the team’s screen after a quick run through spell-check. It might be a bit disorganized. It will be far from perfect. And that’s exactly as it should be. A manuscript development team accepts an invitation into a writer’s (sometimes messy) creative process and starts a foundation for the launching and marketing of the book being birthed into the world. Having this team behind you will give you greater confidence and greater success when it’s time to launch. We’ve all experienced situations where we struggle to transform the thoughts swirling in our heads into a coherent written narrative. Manuscript development teams help authors organize the chaos by providing feedback on what works, what doesn’t, what could be cut and what could benefit from further explanation. A manuscript development team’s role is not to edit the manuscript text, it’s to help the author refine — and sometimes, redirect — how they illustrate the key concepts in their book. If you want to make money from your book, a well-written manuscript is non-negotiable. And we’re not talking about typos and grammar. We’re talking about narrative flow, organization and pacing. I led a book study once where the members couldn’t get past a certain part of the book. No matter what I said or tried, every single person just couldn’t push past the same chapter. If the author had a manuscript development team in his corner, this problematic section of the book could have been identified and rectified prior to publication, leading to better reception by the readers. By now, it’s clear how authors benefit from help from manuscript development teams, and why they are a savvy author’s secret to a bankable book. What about the team member? What is the benefit of being on the development team? 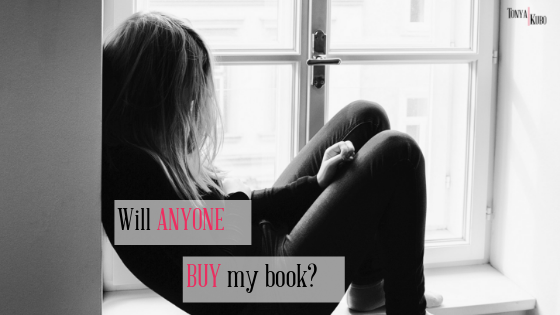 (In other words, how do we convince readers to help authors?) Actually, the benefits parallel those of the author! Aspiring authors find great value in getting a front-row seat to the writing process; by seeing how the sausage gets made, you’re better prepared for the experience of writing your own book. You also get a clearer understanding of what makes a book bankable. I think we all paint aspirational pictures in our minds of what it means to be a published author. Participating in a manuscript development team helps to align that vision with reality. But you don’t have to want to be an author to enjoy the manuscript development team experience. Book fans get great satisfaction from having a hand in getting a book they love out into the world. Even on teams where you don’t have close access to the author, manuscript development teams feel a sense of ownership over the books they’ve helped shape and refine. I love seeing books I’ve supported on spinners at airports and on the shelves at local bookstores. A manuscript development team should never have to wonder if its work is worthwhile. The whole team needs to know the impact of their efforts on the author and his or her creative process. The author can express appreciation for team members through the leader with weekly messages. Some authors will meet with their teams for Q&A sessions once or twice during the project. Others might share a video expressing their gratitude and the value they’ve already received from the team’s feedback. Regardless of how it’s communicated, what’s important is that team members understand the value of their input. I run my manuscript development teams through Facebook and pay close attention to culture and climate. Healthy manuscript development teams have a well-defined scope and are facilitated by experienced leaders who understand how to help – not hinder – an author’s creative process. The manuscript development team manager works for the author and with the author. This means detailed conversations early in the process so the manager understands what motivates the author and what sends the author into ostrich mode, terrified of ever writing again. The team manager protects the author, delivering the team’s feedback in a productive and useful way. I’m not suggesting authors are delicate, but I am suggesting that manuscript teams work best when everyone has a clearly defined role. No author thrives while feeling pecked to death by a thousand chickens, which is what can happen if the author is receiving all the feedback from each member of the team. This is why a team manager is so important. He or she works as the filter between the team and the author, making sure all feedback is delivered in a way that’s both honest and useful. When I lead a manuscript development team, I manage it like any critical time-sensitive project. I like to partner with an analyst who can dig into the data so I can focus on the people parts of the project. Together, we work to ensure the team understands its role and that the author receives meaningful feedback with our recommendations in an action-focused plan. This prevents paralysis of analysis and enables the author to know exactly what to do with the team’s feedback. The implementation plan gives the author concrete next steps that keep momentum going to present a polished manuscript on deadline. More is not always better, and that’s certainly the case for manuscript development teams. Your goal must be quality over quantity. I personally prefer teams of around 40 members. More than that gets unwieldy, making the feedback data difficult to aggregate. Any fewer and you might not get enough feedback to provide the author with useful recommendations. A good manuscript development team manager keeps the author a safe distance away from the team and what individual members think of the book. Authors should never be in a position to get direct, unfiltered feedback from the team. We all like to think we have tough skins, but writing a book is one of the most vulnerable experiences any creative could possibly undergo. Your book is your baby. Those are your intimate thoughts, beliefs, experiences and perspectives you’re committing to the page and sharing with the world at large. Nobody wants to hear that their baby is ugly. What’s worse is hearing your baby is ugly before it’s even been born. None of us is served if the book never gets written because the author was discouraged by hearing harsh words from hypercritical team members. On the topic of hypercritical team members, manuscript development teams need to be carefully curated. Anyone who says they want to join the team because they love editing, are passionate about grammar or are irritated by seeing writing errors send up instant red flags. (These are real-life examples from applications I’ve reviewed.) Why? Because answers like these are indicators that the prospective team member doesn’t understand the purpose of manuscript development. This is not the place or time for line editing or proofreading — that comes later. Manuscript development teams should focus entirely on evaluating concepts and refining the message the book aims to convey. It’s also important to keep the manuscript development team working at a steady pace. Like any community, everyone is most engaged when the goal is front of mind. I find that it’s best when the team receives manuscript content each week over six to eight weeks. This keeps everyone focused on the task at hand and engaged in the content. Doling out a batch here and there over months is a surefire way to have team members start to drop off because they fail to see the value of their participation. Done well, a manuscript development team creates a relationship between reader and writer that lives beyond the individual project. People support that which they create, and I find that manuscript development team members are eager to help launch the book later when it debuts. Development team members are already familiar with the content, and they are a great resource for mining marketing ideas from how they are applying lessons from the books they’ve helped create. With their permission, we save these testimonials to share when the book launches — this is marketing that you can feel good about! Not only does this make marketing easier, but it’s so much more convincing when you can point to real, live readers who have experienced real, live transformation from the book. If you’re a savvy author who wants a bankable book, a manuscript development team is a wise investment. 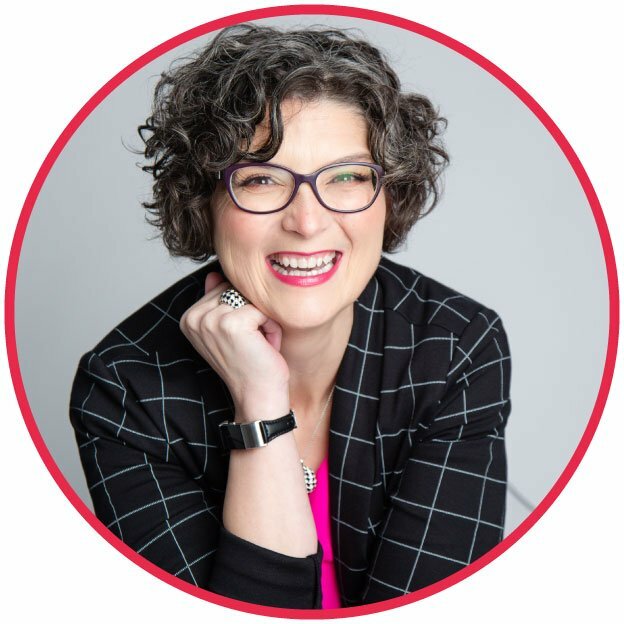 Whether you decide to hire a professional to run your team or take a grassroots approach, I’d love to help. Visit the Services page for more information or email info@tonyakubo.com. Want to join my list for manuscript development and book launch teams? Fill out this online form. Tonya Kubo helps communicators build close, connected relationships online by leveraging the power of social media. She leads book launches and manuscript development teams for authors, manages online communities and provides coaching/consulting services. Find out more on the Services page. What gives me the greatest joy is working with communicators – people who actually care about the people they serve, people who want to be on a first-name basis with members of their communities. I am so glad you’re here! Subscribe to Tonya's mailing list to get exclusive, insider only, content and strategy tips that will help propel your business forward. Please check your email to confirm we got your email address correct.